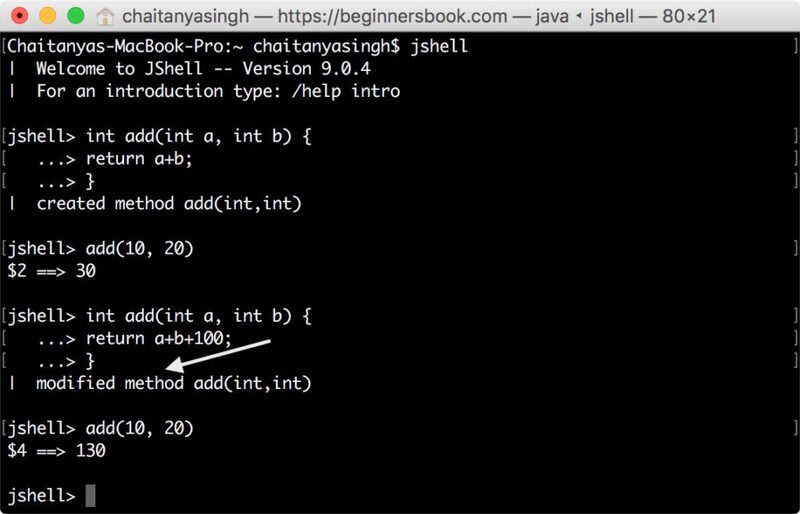 In the previous tutorial we learned how to work with variables in JShell. 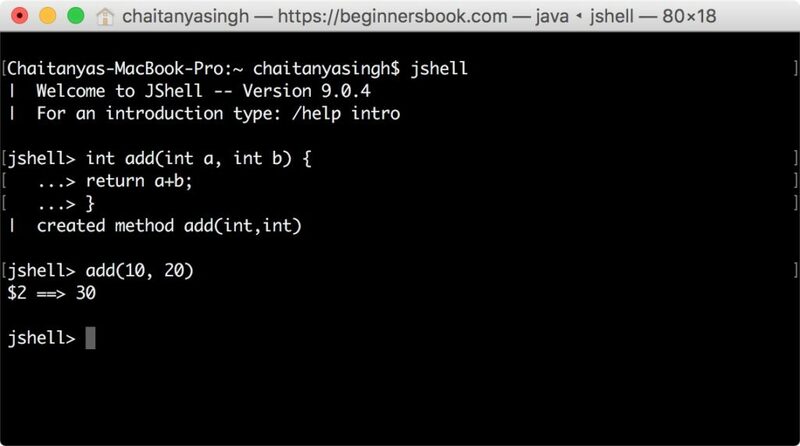 In this guide, we will learn how to create methods in JShell, how to use them and how to modify the definition of already defined method. Lets see how to define a method in JShell. In the following example, we have defined a method add() and later called this method with arguments to get the sum of two integer numbers. Note: Since we are changing the definition of method add(), JShell feedback shows it as modified method add(int, int) instead of created method add(int,int).